For additional information about this book, visit the website lovemedicineagain.com. Dr. Starla Fitch went into medicine for all the right reasons. As a sociologist interacting with elderly patients, she found that they were overwhelmed by the healthcare system and their needs were often not fully met due to the pace of appointments. She knew she could help them. So she enrolled in medical school and excelled in her residency and fellowship. But not long after she began her practice, the demands of the profession coupled with the bureaucracy of the system began to take their toll. On the verge of burnout, she knew she had to find a way to reconnect with the reasons she became a physician. She did – and now she helps other doctors do the same. 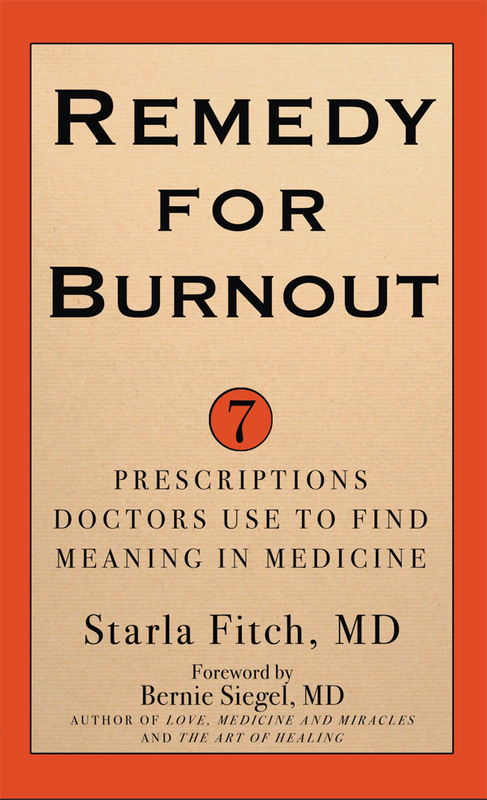 Remedy for Burnout: 7 Prescriptions Doctors Use to Find Meaning in Medicine shares Starla's story and those of fellow physicians who tapped into their own passions and talents and discovered the meaning in medicine unique to each of them. Her seven prescriptions provide actionable advice that doctors can take to assess their current situations and reconnect with the reasons why they put on their white coats every day. Dr. Starla Fitch is a board-certified practicing oculoplastic surgeon who has been in practice more than twenty years. Dr. Fitch is also a speaker and certified life coach. Dr. Fitch created lovemedicineagain.com, an online community for medical professionals who want to reconnect with their passion for the practice. Dr. Fitch is a featured blogger for The Huffington Post and KevinMD.com. Visit her at www.lovemedicineagain.com.